BRYAN EATON/Staff photo. 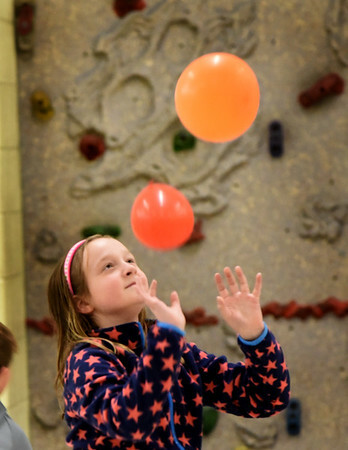 Madeline Taylor, 9, taps balloons in the game "Keep It Up" in Margaret Welch's physical education class at the Amesbury Elementary School as they work with eye to hand coordination. After this excercise the students played a game of floor hockey as they continued the theme.